Honest Mark Brace is about to lose his farm, land of his ancestors, home to his wife, Patty, and small daughter, Mattie, when out of a dark and stormy night comes the answer to his prayers. A tiny babe, tender and fair, left on their doorstep with a note asking Mark and Patty to bring the child up as their own, to raise it to be good, like themselves, and to accept for their troubles a hundred pounds a year. The farm is saved, and all is peaceful for a while as the beautiful baby, Doris, grows into an even more beautiful child. But as she grows, so too grows her awareness of her own loveliness, of her difference from the humble farmers who raise her. Doris hungers for luxury, jewels and velvet, bright fetes and ardent admirers. Confident that her ethereal beauty and native wit will bring her everything she deserves, she focuses her energies on obtaining these things and sets in motion a chain of events that will break hearts, rip at the mystery surrounding her birth, and culminate in the greatest tragedy of them all. 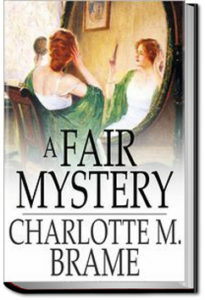 A story of love in many forms, A Fair Mystery is part romance, part tragedy, and part social commentary, one which asks us to pause a moment and reflect on what it is that is truly worth having in this life. This entry was posted in Reading and tagged allyoucanbooks.com, audio books free, ebooks free, free audiobook, free kindle books, unlimited audio books, unlimited crime books on August 8, 2018 by all-you-can-books.